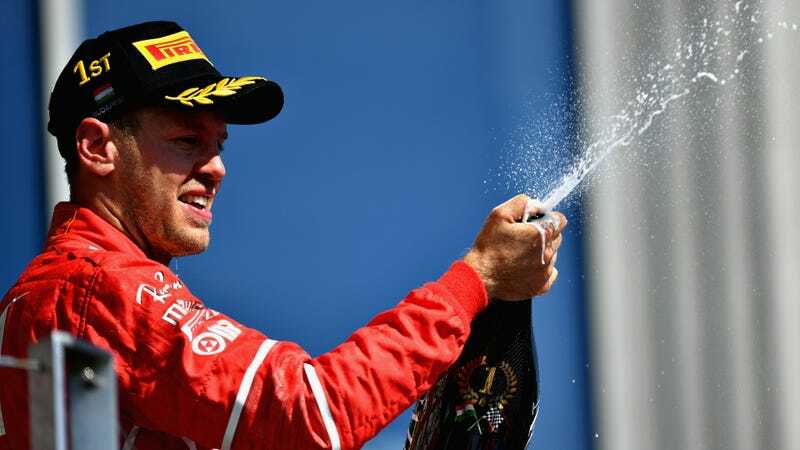 Just when you think you can’t be more of a basic, average, uninteresting human being, you scroll through your basic, average, uninteresting internet-enabled device and read that Formula One drivers do, in fact, drink celebratory podium champagne from carbon-fiber bottles. Cool deal. The entire Carbon-branded champagne bottle isn’t solid carbon fiber, as the F1 press release about it said it’s simply “coated with the same type of carbon fibre used in the manufacture of the Formula 1 cars.” Coating an existing bottle seems like it wouldn’t save much weight or be practical in any way at all, but who needs practicality when you have a ton of money? 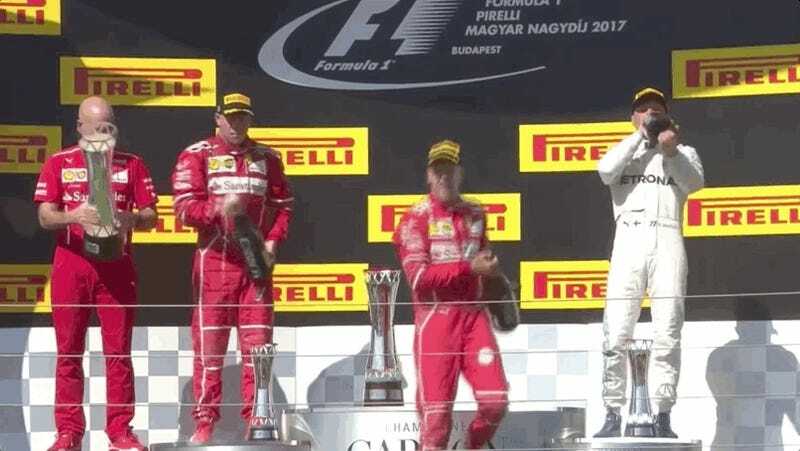 Motorsport.com and CarScoops report that these 1.5-liter champagne bottles F1 uses sell for $3,000 each, and I’ll just have to take their word for it because I believe I might be too “poor” or “lesser” to correctly navigate this company’s website and find its pricing. CarScoops also reported that you can get a 6-liter bottle of this stuff for $8,000, or a 15-liter bottle for $50,000. The wealthy, I am learning, must not favor buying in bulk to save money. In case you felt like watching around $9,000 dissipate over the course of a few seconds on this fine day, here, enjoy yourself. There’s nothing like feeling poor on a Tuesday morning. At least you can afford internet to watch this stuff with, right?